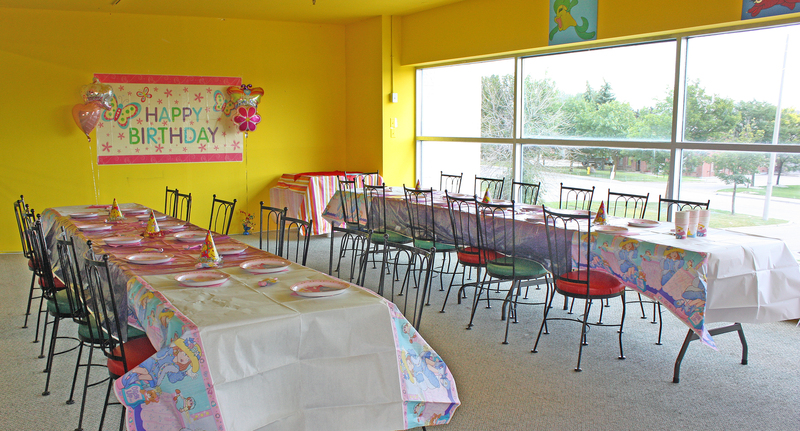 Looking for an easy way to host your child’s Birthday party? Need a place for your kids to move around while you relax? 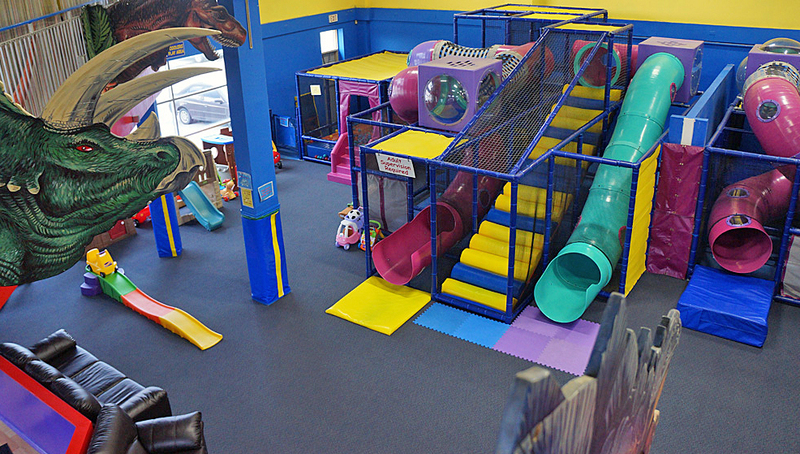 Busy Buddies provides a bright, clean and safe space for kids to exert their energy, 7 days a week, all year-round! With over 7000 sq.ft. 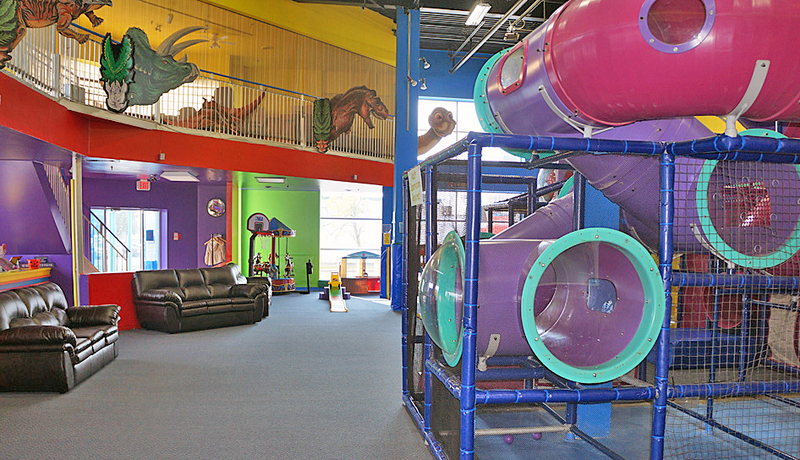 of fabulous fun, families appreciate a spacious and comfortable place to play, socialize and relax. 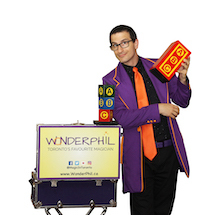 Take advantage of our monthly promotions for your next party! Many options are available to make your planning hassle-free and super easy. 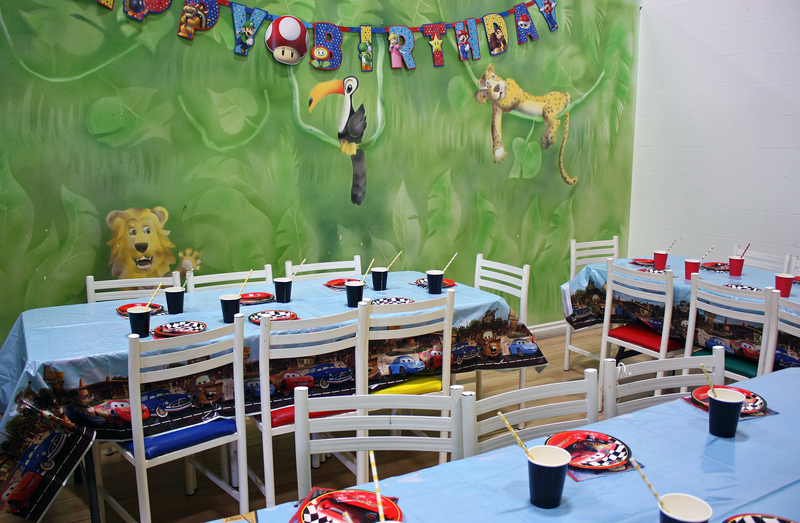 Private events, character parties, face-painting, balloons, themed decorations are favourite additions for a unique and special party. Please visit our website for more details. Our new After-School programs, Montessori classes, Summer Camps, Music lessons, Parents & Tots programs and many more events in partnership with local businesses allow children to learn and have fun! Children would have the opportunity to develop their gross motor skills as well as their academic abilities at the playground.Please visit our website for the variety of programs offered throughout the year. At Busy Buddies, there is something for everyone to have a fantastic day! 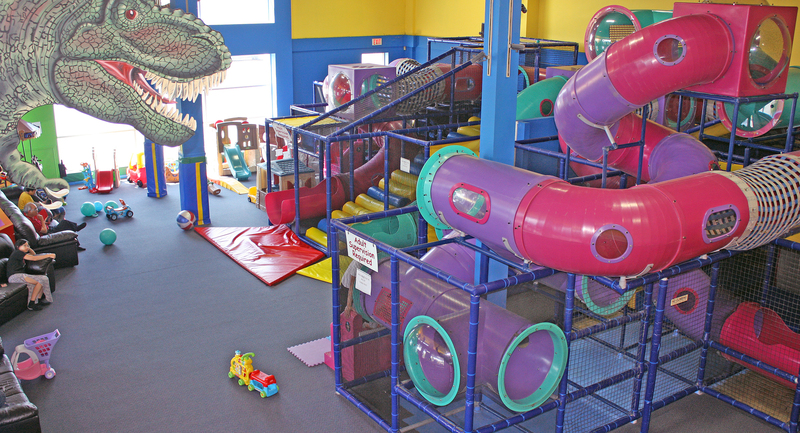 Babies and pre-toddlers may explore on little climbers, plunge into a giant ball pit, or catch a ride on the mini-cars. 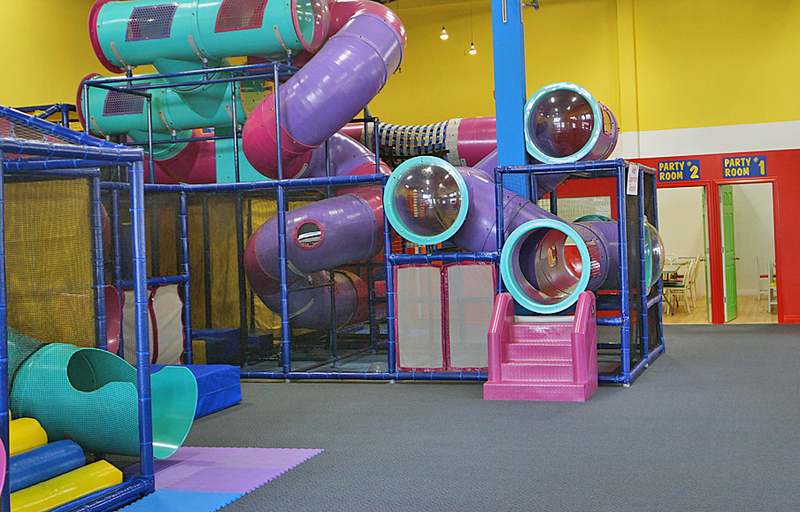 Toddlers and older children can strengthen their gross motor skills on the large play structure by buzzing through the 2-stories high spiral slides or get loose in the tube maze. An air hockey table and a mini-carousel add to the many options available for kids to have super fun while parents and guardians enjoy their day relaxing on the comfy couches around the playground. Parents can also join their children on the play structure and get a great workout themselves. A separate dining area and a small café allow families to take a break, have lunch or enjoy a snack. Microwaves are available to warm up food brought from home. Busy Buddies is a perfect place to gather with friends, catch up with buddies, and have a party! Consider having birthdays, showers, family gatherings and corporate events here! Schools, daycares, learning centers, kids clubs and non-profit organizations are also welcomed with special group rates. We look forward to see you soon!